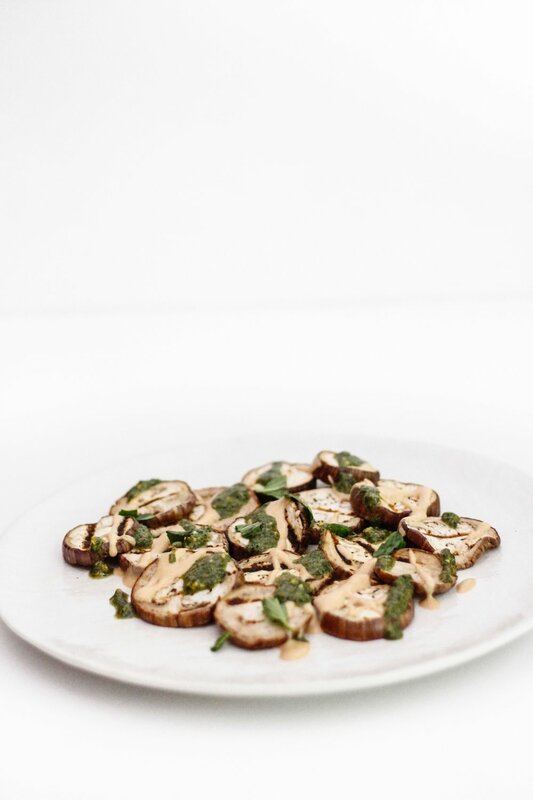 Grilled eggplant shines with a drizzle of spicy tahini and basil pesto. This dish is perfect for weeknights when you need something to eat quickly, but don't want to make boxed mac and cheese once again. I used to hate eggplant, but I've since grown to really like it. It's a little tricky vegetable actually. 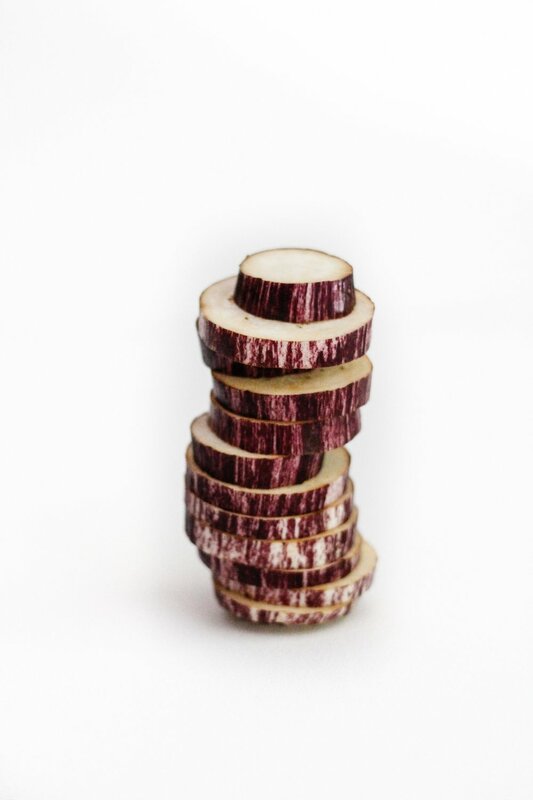 Eggplant is a bit like a sponge, it absorbs olive oil with crazy speed and can sauté kind of wonky due to its water content. However grilling is a great way to avoid this! I like grilled eggplant with some sort of sauce because it can be bland otherwise. For this recipe I made two of them, a spicy tahini and a fresh basil pesto. Tahini is like sesame butter, it's crazy rich and you only need a little bit to make an impact in this dish. Adding some water and lemon to tahini makes it perfectly drizzly too! And pesto needs no introduction. It adds some freshness and color to this dish. The recipe is below!